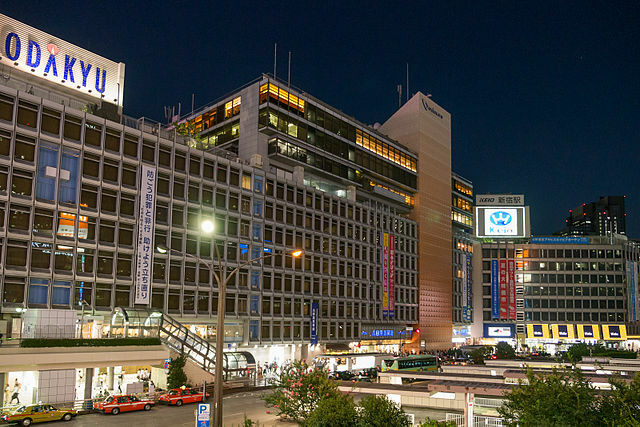 The area surrounding Shinjuku Station is a huge business, commercial, and entertainment center. ​To the North lies Takadanobaba, where students from nearby Waseda University cross paths. 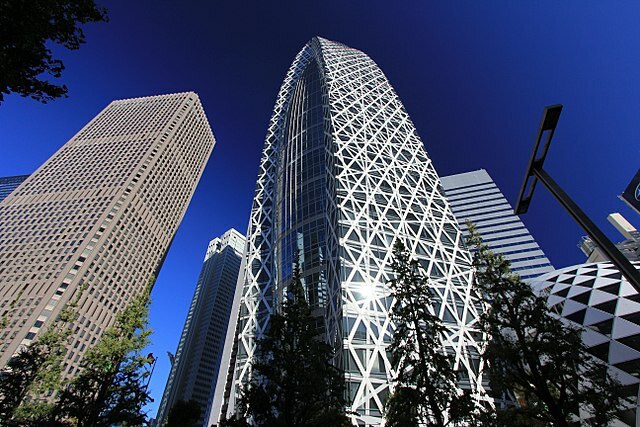 The West side of Shinjuku, a seismically stable area that escaped the 2011 earthquake with barely a scratch, is Tokyo's skyscraper district featuring Tokyo Metropolitan Government Offices and the curved form and webbed facade of the Mode Gakuen Cocoon Tower. Mode Gakuen Cocoon Tower is a 204-meter, 50-story educational facility located in the Nishi-Shinjuku district. The design of Mode Gakuen Cocoon Tower offers a new solution for school architecture in Tokyo’s tightly meshed urban environment. The vertical campus can accommodate 10,000 students for the three vocational schools that occupy the building. According to the designer, the building's cocoon shape symbolizes a building that nurtures the students inside. Shinjuku Station is serving as the main connecting hub for rail traffic between Tokyo's special wards and Western Tokyo on inter-city rail, commuter rail, and metro lines. An average of 3.8 million people use the station each day, making it the busiest station in the world in terms of passenger numbers. Including an underground arcade, there are well over 200 exits. ​The station is a sight in itself, effectively forming a giant multi-level warren of department stores, restaurants, railway facilities and underground shopping malls which radiate out for kilometers under the surrounding area. 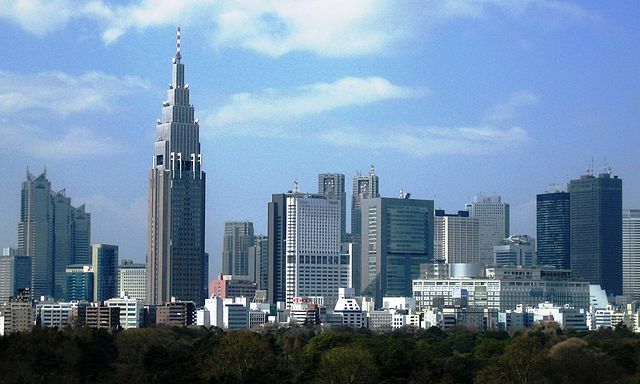 If you're looking for a viewing platform, the highest spot is the Tokyo Metropolitan Government Building "Tokyo's City Hall"; a tower 48 stories tall that splits into two sections at the 33rd floor. Its twin towers, at a height of 202 meters on the 45th floor, have viewing platforms that are absolutely free, and offer a great view over Tokyo and beyond. The observation decks have gift shops and cafes. The Central Park is directly behind Tokyo's City Hall. Shinjuku Gyoen National Garden is a large public park garden, and one of the most popular places for viewing cherry blossoms in the spring. The garden blends three distinct styles: a French Formal and English Landscape in the north and to the south, a Japanese traditional. A botanical conservatory and a traditional Japanese tea house can be found within the gardens. The entrance fee often makes the park surprisingly uncrowded and peaceful. 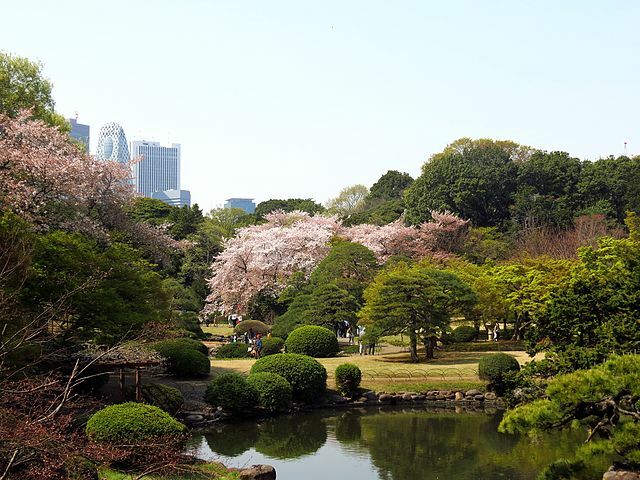 The Garden is ten minutes’ walk east from JR Shinjuku Station. The East side of Shinjuku Japan’s largest red-light district Kabukicho, features countless restaurants, bars, nightclubs and a wide variety of red light establishments. It is perfectly harmless to walk around during the day and marvel at the photo billboards of various male and female escorts on offer as well as the live gangster-types acting shady. While walking around this area should probably not be done with children, for adults the result is far more "cultural interest" than sleaze. 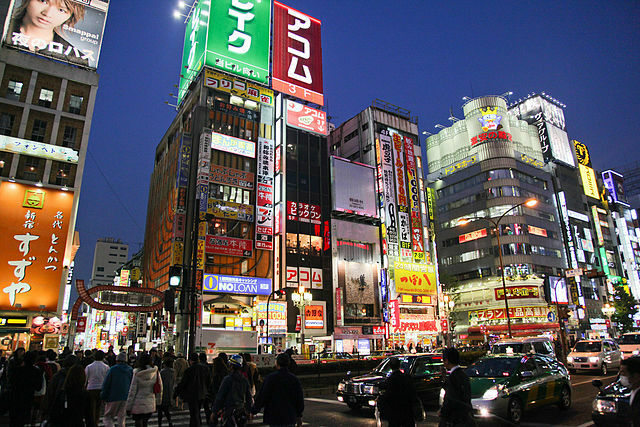 Kabukicho district is approximately 5 minutes’ walk from Shin-Okubo Station. 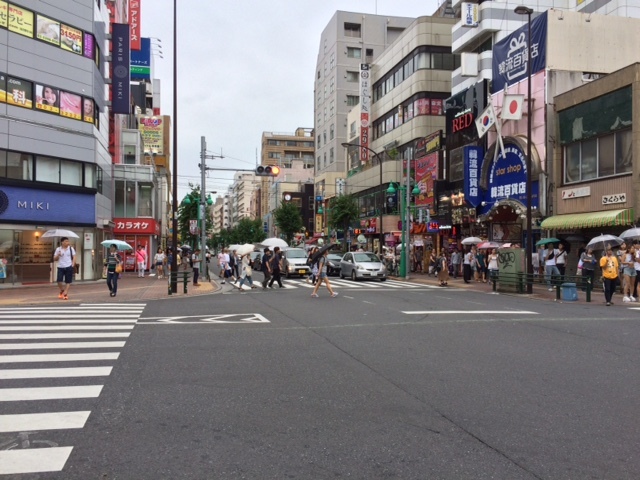 Shin-Okubo Koreatown, one stop from Shinjuku Station on the Yamanote Line, is home to dozens of Korean-style restaurants and retail shops. Many of the shops and restaurants are operated by Korean immigrants and sell a variety of Korean goods, including videos and groceries. It's a good place to experience authentic Korean food and culture. The Korean food can be pricier than other places around Tokyo, but the number of options, quality of food, and atmosphere here are unbeatable. 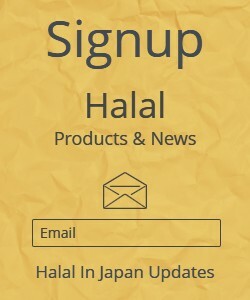 Marui is well known department store known for focusing on the 16-32 year age group. 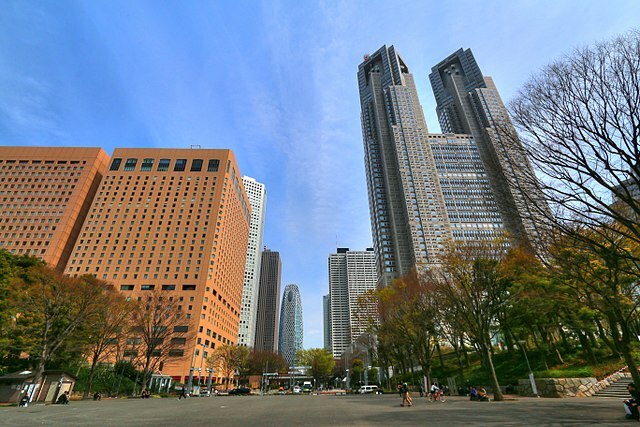 Spread out around Shinjuku Sanchome, the main building is located next to Shinjuku Gyoen National Garden. The men's building is located North of the main building and Marui Young is located West of Isetan. The branches are located near Shinjuku Sanchome Station. 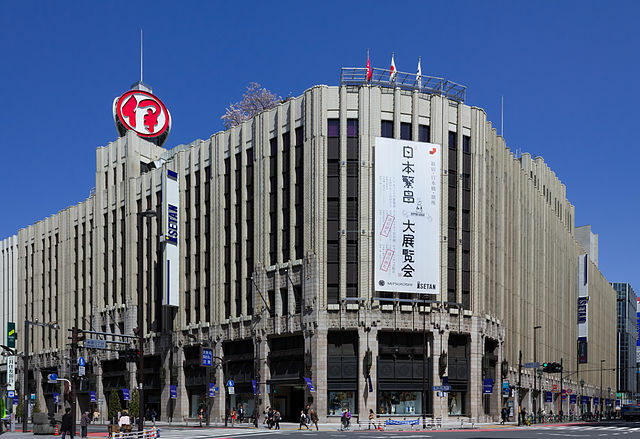 With a history of over 100 years Isetan is a veteran among Shinjuku's department stores. Isetan is one of the most popular department stores in Shinjuku. It caters to a broad 20+ age group. It has a Depachika "beautiful basement floor selling food and gifts" that is a little more expensive than other department stores in Shinjuku. Head out Exit B3, B4 or B5 from Shinjuku Sanchome Station. 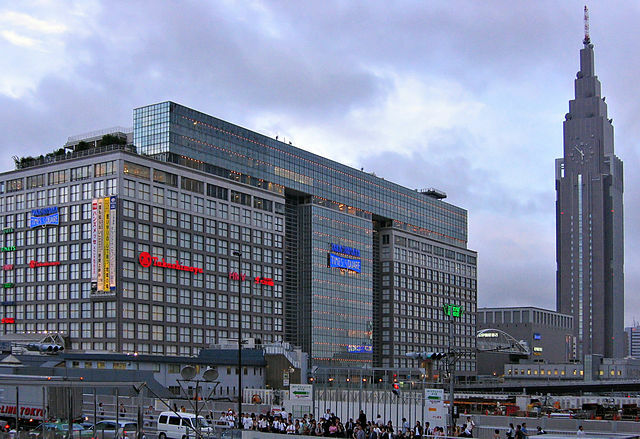 Odakyu Department Store is a massive complex dominating the western side of JR Shinjuku Station. 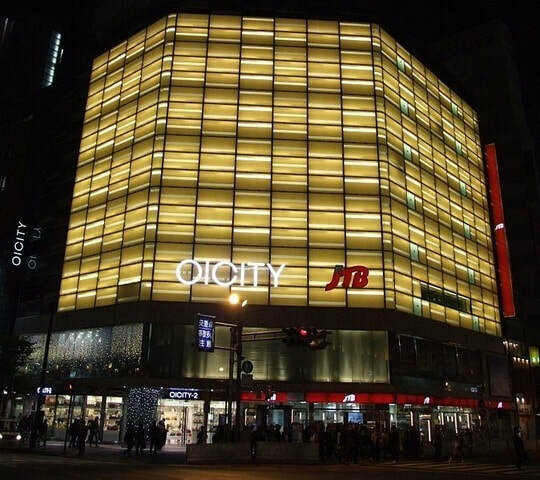 Odakyu HALC is an annex of the Odakyu Department Store’s Main Building at Shinjuku Station. It’s slightly smaller than the main complex and is focused on electronics, sports goods and food. The main draw here is Bic Camera, an electronics retailer that takes up four floors. 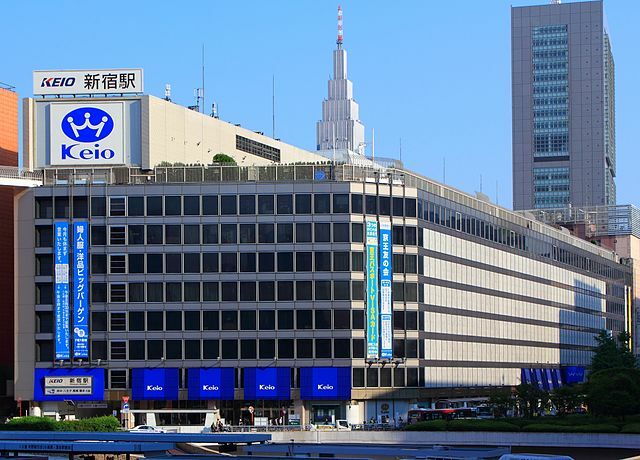 Keio is similar to the Odakyu department store in terms of goods and services. The Depachika "basement floor selling food and gifts" is smaller and more cramped than Odakyu. The department store belongs to the Keio Group, which also operates a suburban railway line from Shinjuku to western Tokyo. "West Exit and Central West Exit from the JR Shinjuku Station". 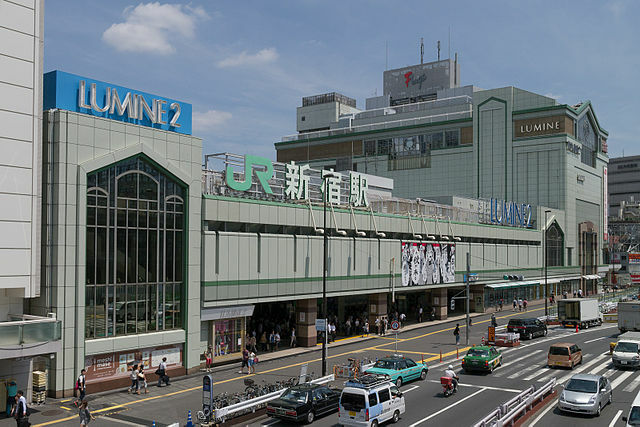 Lumine has 3 buildings around the JR Shinjuku Station. Lumine 1 and 2 cater to all ages with average priced goods. Both buildings are located at the South Exit. Lumine EST is located at the East Exit and Central East Exit. Lumine EST focuses more on haute fashion for younger women and famous restaurants. Takashimaya is the Southernmost department store in Shinjuku located between the JR Shinjuku and JR Yoyogi Stations. 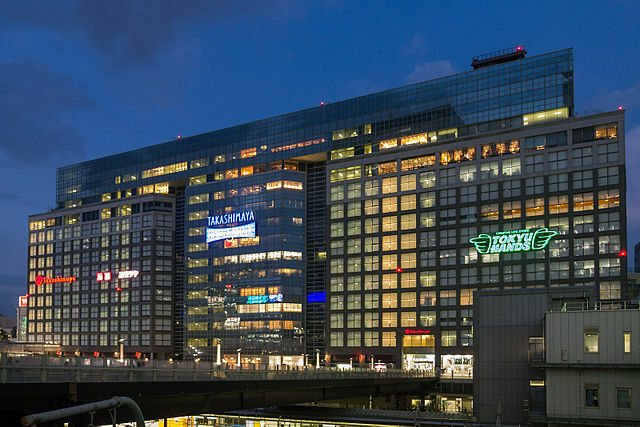 Takashimaya consists of 15 floors, including a food department in the basement and three restaurant floors. This department store caters towards the mid-20s and up, along with families. Head to New South Exit and the Southern Terrace Exit from the JR Shinjuku Station. Train is the obvious option for arrival, as Shinjuku Station is on the JR Yamanote, Chuo, Sobu, Saikyo, and Shonan-Shinjuku Lines. Subway service is provided by the Tokyo Metro Marunouchi and Fukutoshin Lines and the Toei Shinjuku and Oedo Lines. There are also terminal stations for the Keio, Odakyu and Seibu Shinjuku private railway lines. 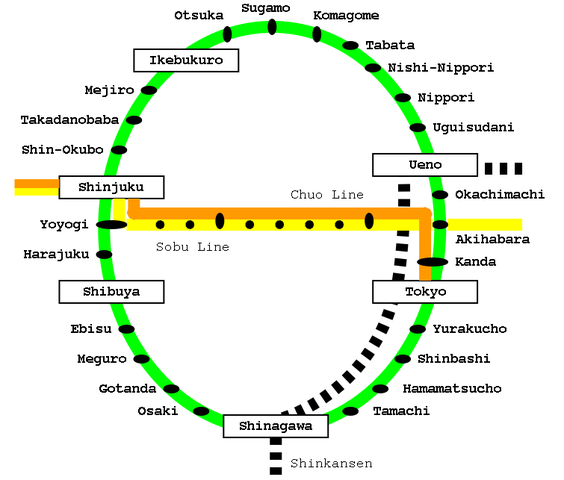 Main stations in different wards of Tokyo including Shinjuku Station can easily be accessed by JR Yamanote Line.